Today there is a lot of emphasis on building within Christianity. We speak of building the kingdom and building the church, neither of which are our responsibility. The Father has given us the kingdom and Christ said He would build the church. 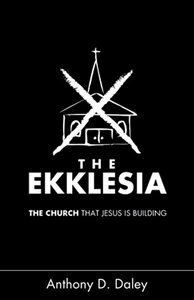 In the New Testament, the word translated as church is Ekklesia. In the days of Jesus, Ekklesia was not used to define a religious gathering for expressing worship and learning about a deity. The Ekklesia was a governing body in a region that assembled for the purpose of legislating the region, initiating laws and declaring war. It was an assembly of diverse citizenry, who collaborated for the good of the region. When Jesus said, &"I will build my Ekklesia,&" He had something different in mind than what we call the church today. Join us in this book as we seek to find the definition of God&'s intention and allow the real church to stand up.